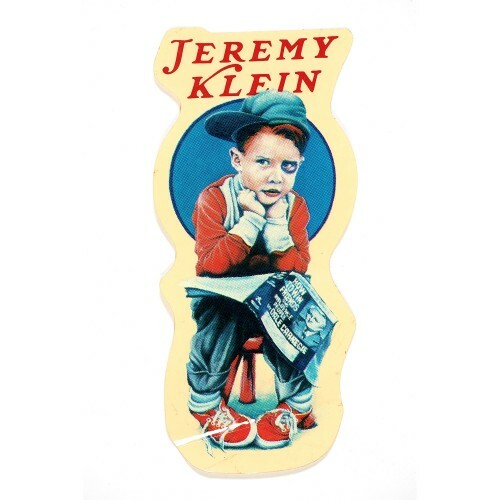 The original Jeremy Klein black eye kid sticker straight out of the World Industries' board artwork designed by Marc McKee in year 1991. Signed with a black marker on the back. Refresh your knowledge on Jenkem mag.